Hot Beverages: Spanish Latte, Latte, Cappuccino, Flat White, Americano, Hot Chocolate, Chemex, V60 & Salted Caramel. Iced Coffees: Spanish Iced, Iced Latte, Iced Americano, Iced Flat White, Iced V60, Iced Chemex, Cold Brew & Salted Caramel. Frappuccinos: Caramel, Hazelnut, Chocolate, Lotus and Oreo. 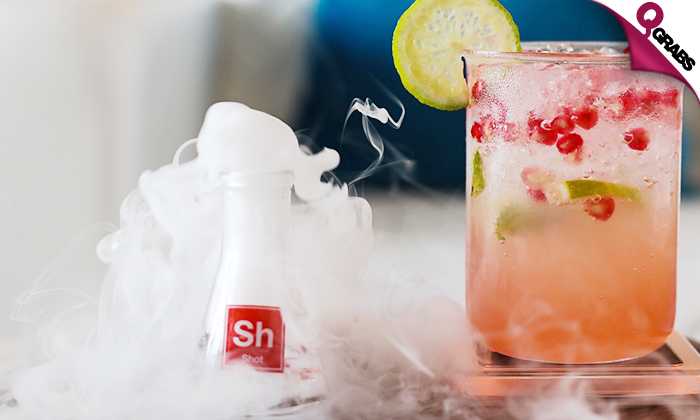 Mojitos: Lithium Strawberry, Oxidized Bubblegum & Crystal M.
Up to 55% off your caffeine and sweet-tooth fix! 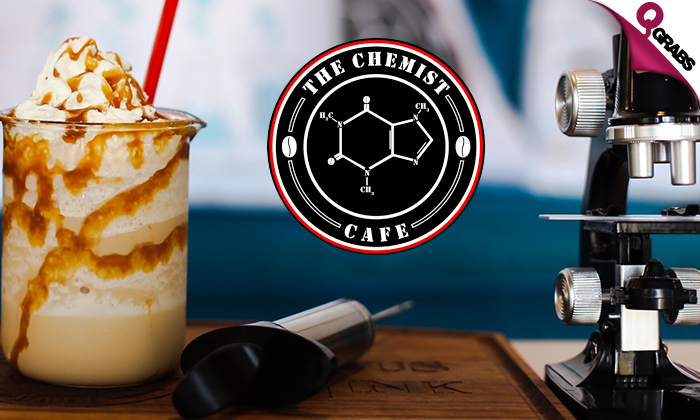 The Chemist Cafe is inspired by the TV series Breaking Bad and serves gastronomical beverages and treats! The interiors look like a well-lit chemists lab and the staff is dressed in full body suits to complete the ambience. 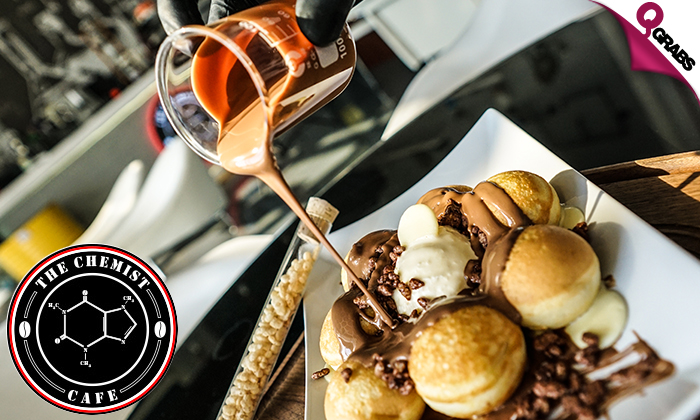 To tickle your crazy bone, be sure to try the Chemex, V60, Crystal M and Happy Hormones Desserts!